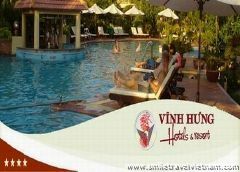 Le Domaine De Tam Hai resort, discount rates at Le Domaine De Tam Hai resort. 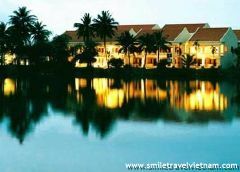 It's a luxury 5 international star resort. 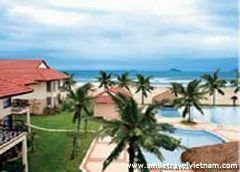 In the center of Vietnam in an exclusive place in the middle of the charming island of Tam Hai, Le Domaine is a new way to discover this country. 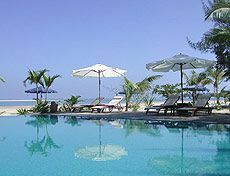 The Le Domaine de Tam Hai features 12 well-appointed villas set in the small island off coast of central Vietnam. While offering luxurious facilities, the natural way of life amidst the resort is preserved, making it an ideal nature hideaway. 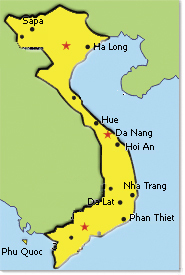 Located near Hoi An (only 45km) in the center of Vietnam, near Danang airport (70 Km). 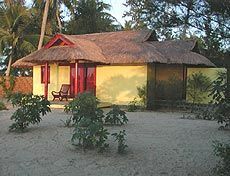 Twelve "Privilege" houses surrounded by coconuts palms near to the beach are waiting for you for an unforgettable stay. Air conditioning, fan, hi-fi, safe, telephone, Internet, mini-bar: all the facilities for an international standing. 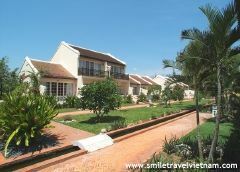 A roomy inside/outside with patio bathroom, a long covered terrace having a view of the ocean, a private garden, a traditional architecture are the main assets of the Tam Hai Domaine's villas "Privilege". 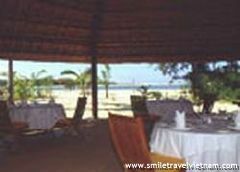 French restaurant where you will be welcomed in romantic and luxurious surroundings. Having lunch on the beach, candlelight dinner in front of the sea, silverware and china crockery will remind you the French meaning of luxury. You will discover many species of fish, the daily catch and other crayfish of the Tam Hai island with our Asia inspired cooking. The terrace of your villa can be a dreamed place for a private breakfast, a lunch alone together or a romantic candlelight dinner. 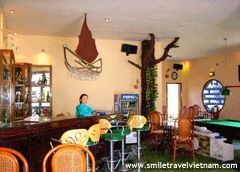 A bar where you can appreciate our cocktails while gazing at the movements of the fishermen's small boats, in the jazz, the blues or the musical atmosphere of your choice. You can lounge at the swimming pool with outfall located on the edge of the beach, at the shade of the parasols, on your refreshing deckchair and drinking your frozen fruits cocktail. The Domaine's park recovers a private space of 10 hectares on the Tam Hai Island's end and allows privileged walk to discover the surrounding. - Description: Net fishing in the connective area between sea and river. Accompanied by 2 local fishermen (1boat = 1 or 2 guests + 2 fishermen). - Booking: At the reception – booking the day before. - Booking: At the reception – booking the day before – minimum 2 persons. - Description: Trip by boat to Mango Island (about 20 – 30 minutes by speed boat / 45 min by local boat) + Snorkeling around the island + swimming + relaxing on the beach and/or on the boat with fruits and drinks. - Booking: At the reception – booking the day before – minimum 2 persons / maximum 6 pers. (speedboat). - Booking: At the reception – booking the day before – minimum 2 persons / maximum 6 (speedboat) or maximum 10 (local boat). 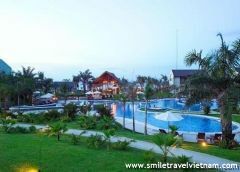 - Description: Trip to Hoi An + visit of the town. 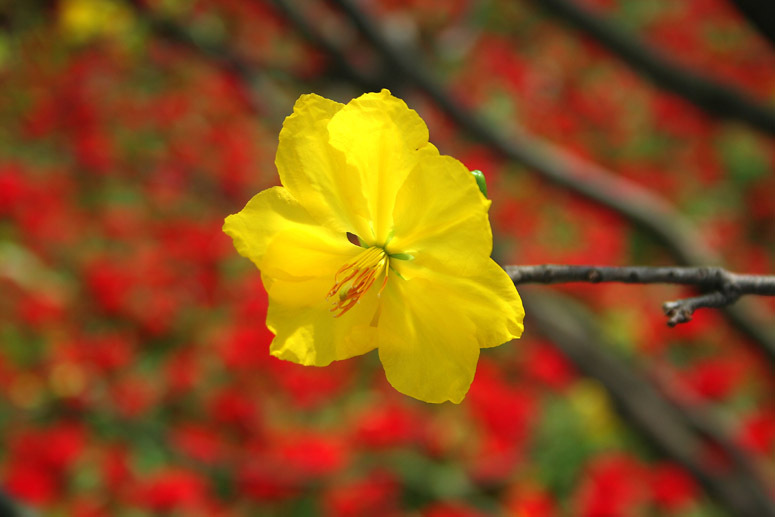 Visit of traditional houses, visit of the town + shopping … Including: Transfer by boat + car. - Booking: At the reception / bar.